Learning to Lead: What Type of Leader Are You? I love skiing and leading! There's nothing like gliding through fresh powder; it's one of the greatest feelings on skis I know! Being in beautiful mountains with friends and feeling the sun on my face, fresh air in my lungs, and the burn in my legs is one of my favourite experiences! And, there's nothing like seeing an organisation, team, and individual being really successful. As the end of another skiing season in Europe draws in, it made me think about the link between learning to ski and learning to lead. One of the challenges we have when learning to ski is trust. Trust in yourself, trust in your equipment, and trust in others. To help accelerate your ability, it's really helpful to be taught by the very best trainers, mentors, and coaches. When we first learn to ski, a great deal of time is spent focussing on your skis and making sure they are in the right position. As your confidence grows there comes a point where this doesn't work anymore. Focussing on your skis, the steepness of the slope, and the few metres in front of you doesn't seem to work anymore. And, as your speed and ambition increases, it becomes impossible to ski like that! We learn that when skiing short turns, we look straight forward. We pick a point, actively look at it, and keep heading towards it. In tree skiing, you don’t look at the trees. You learn to look at the gap between the trees that you intend to ski through. In the moguls, you start off by looking one bump ahead. As you get better, you’ll start to look two bumps ahead. When you’re approaching a knoll or a drop-off, guess what, keep looking at it until you can see what’s beyond. You also learn that if you look down at your skis, it feels that almost everything looks ridiculously steep and you always feel like you’re going a million miles an hour. You learn that looking much further ahead makes it feel like you’re going much slower and have more time to think and respond. You learn to trust your ability, relax, go with the flow, and look ahead! Which is exactly the same as leading in today's world. Sadly, so many leaders and managers are locked into the here and now. Caught up on the hamster wheel, stressed, overwhelmed, and thinking that being busy is the right thing to do. In other words, they are stuck looking at their skis! The best leaders I know have honed their leadership skills using the best trainers, mentors, and coaches. They've learnt how to put together an awesome team, learnt to co-build and craft a great strategy, and then learnt to focus on where they are going, making corrections in an evolving way. 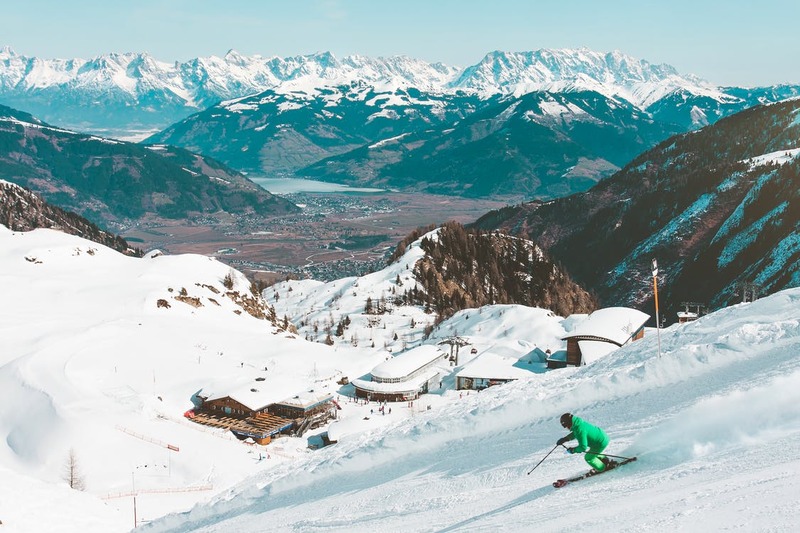 When you compare a novice skier to an experienced skier you will see the novice tense, focussing on their skis, and looking just a few feet ahead; whilst an expert skier knows how to relax and where to focus, in order to stay in control and trust the team to achieve success. When we think about leadership, a novice leader doesn't really have a purpose or vision, but focusses on tactics and gets stuck on the hamster wheel. Meanwhile, an expert leader uses their purpose and vision as a guiding star, focusses ahead, anticipates well, and crafts solutions to achieve extraordinary results. Which type of skier are you, novice or expert? Which type of leader are you, novice or expert? Become a better leader today by signing up for our two-day Leadership Athlete Masterclass. We'll uncover the secrets to leadership success and guide you through how to craft winning strategies that achieve extraordinary results.